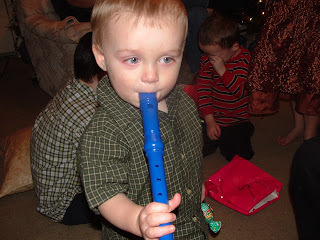 Jimmy got a set of Recorders from Grammie and Grandpa Harty. He likes to walk around and play them. We had some at home, but they ended up broke or lost. Now he has a fresh, new set!